We've updated our early released article on 5th November with a full report on the iPad mini's battery performance and an updated conclusion to complete this review. If you've read our article initially, you can jump straight to the performance and conclusion page. The 7-inch tablet market boomed when Amazon unveiled the US$199 Kindle Fire in late September 2011. Sporting a 7-inch display, a dual-core chipset and a customized interface of Android, the Amazon Kindle Fire presented itself as a viable tablet alternative to the Apple iPads and became the top selling Android tablet in the U.S market. Google joined the scene in June 2012 with the unveiling of the Nexus 7, which is priced competitively with Amazon's offerings and comes with superior specs. As we wrote in our review, the Nexus 7 is unrivaled in terms of performance, design, features and value. Sales of the Nexus 7 soared in the past few months from 500,000 units in July to nearly one million in October. 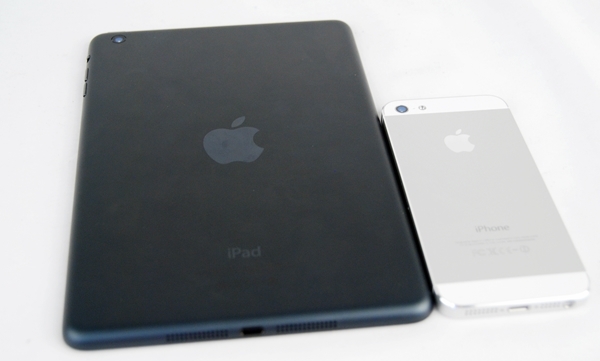 At the same time, the rumor mill was spinning reports after reports of a smaller iPad in the works. Similar to how the rumor mill hit the bull's eyes on the Apple iPhone 5, the smaller iPad was more or less the same device we've seen in leaks. On 23rd October, Apple finally launched the iPad mini. Thin and light remains the key focus for Apple when it comes to designing its products (with the exception of the third generation iPad), and this theme is no doubt the key highlight for many of its new product releases which include the 13-inch MacBook Pro with Retina Display, the new iMac, the fifth-gen iPod touch and the iPhone 5. With a side profile of just 7.2mm, the iPad mini is the thinnest tablet in the market at the moment and we foresee it remaining so for at least the rest of the year. Its closest rivals in terms of sleekness are the Toshiba Excite 7.7 (7.6mm) and Toshiba Excite X10 (7.7mm). Within its family of iOS devices, the iPad mini ranks second behind the 6.1mm thin iPod touch and a step ahead of the 7.6mm thin iPhone 5. 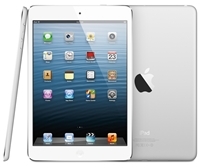 The iPad mini adds another world's first into its record by being the lightest mass market tablet. Why do we add the term, "mass market"? 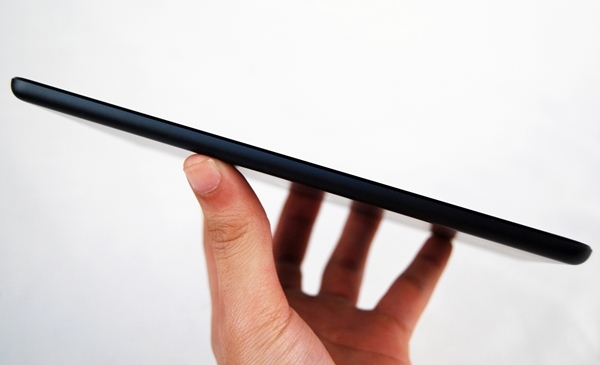 Well, Japanese carrier NTT DoCoMo recently unveiled the lightest tablet in the world at 249g. 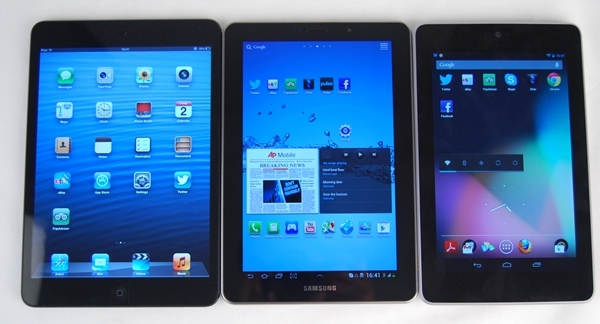 It remains to be seen whether that Android tablet will be available anywhere beyond the shores of Japan. To be honest, words and photos cannot describe the sleekness and lightness of the iPad mini. You have to feel it to know what we are trying to convey. Over the course of the review, the iPad mini was handled by several of our colleagues and friends, and all of them were surprised at how light and thin the tablet was. This is despite the fact many of our colleagues have handled other 7-inch tablets, so the refinements made by Apple are noticeable even though the differences look insignificant on paper. Taking design cues from the iPhone 5, the iPad mini sports the same anodized aluminum back without the glass capping at the top and bottom. The metal chassis lends a very smooth but sturdy feel to the device, which is notably absent in competing tablets such as the Google Nexus 7 and Samsung GALAXY Tab devices. 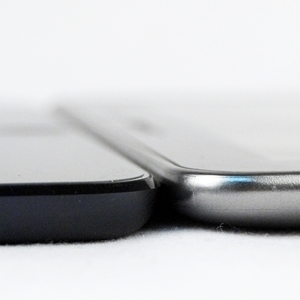 As it has the same finish as the iPhone 5, we have concerns over the chipping issues that plagued the phone. For now, the iPad mini seems rugged enough to survive several days of usage since its launch without any scuff marks. Only time will tell if it's susceptible to those issues, so keep a watch for any of our future news updates or finding from our forum users. The front of the iPad mini is dominated by its 7.9-inch LED-backlit IPS display which has rather thin bezels along its sides. This is a deliberate design on the part of Apple so that it is able to fit a larger display in a device of its dimensions. 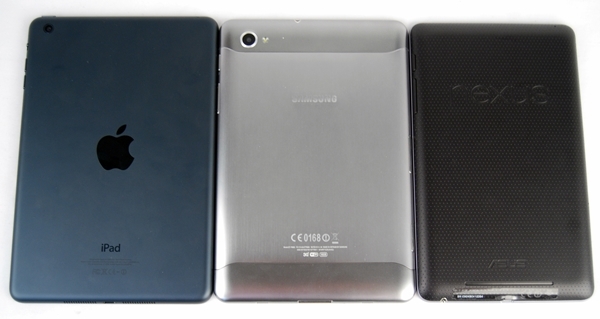 As seen in the comparison photo below, it's hardly larger than its competitors and yet it boasts a larger screen. The main difference that made this possible is Apple's insistence to keep to a 4:3 screen aspect ratio as opposed to the more commonly seen 16:9 widescreen aspect ratio on the competing products. If you consider the third and fourth generation iPad's Retina display resolution of 2048 x 1536 pixels and the iPad mini's 1024 x 768 pixels, both maintain the same 4:3 screen aspect ratio. As such, they are better equipped for browsing content while the screen is vertically orientated and promotes content consumption like reading journals and e-books. We'll discuss more on this on the next page as we assess the screen's performance. One unique feature embedded in the software of the iPad mini is its ability to reject unwanted touches on the sides of the display. 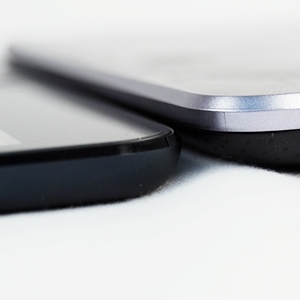 With thinner bezels, you are more than likely to be touching the screen while holding it. According to Apple, the iPad mini is able to recognize whether your thumb (or finger) is simply resting on the display or whether you're intentionally interacting with it. 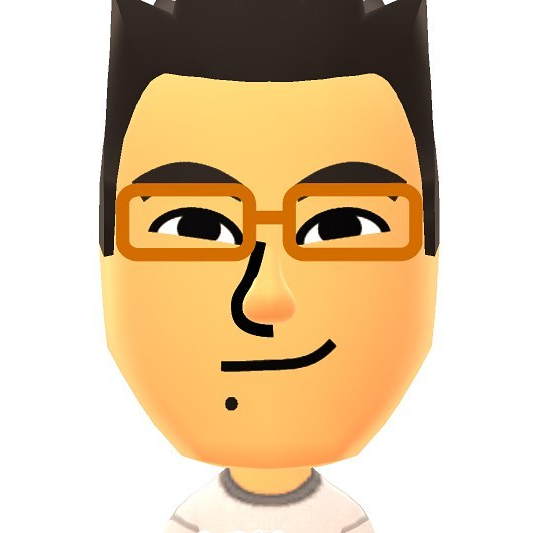 The feature worked most of the time as claimed, although it sometimes rejected the touches we intended.